The Leader in Public Sector Law - KP Law, P.C. The principal expertise of the firm is the practice of municipal law. KP Law represents over one-third of the cities and towns in the Commonwealth as their City Solicitor or Town Counsel. In addition, we provide special counsel services, including serving as labor and employment counsel, to other cities and towns, special districts, housing authorities, regional transit authorities and state agencies. The firm’s broad range of practice areas includes labor and employment, contracts, real estate, land use, environmental, town meeting, government information and access, procurement and construction. 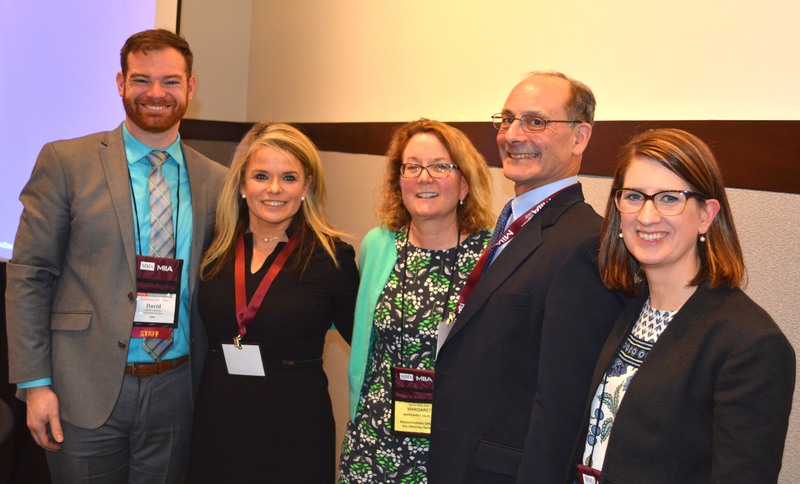 KP Law was thrilled to see so many of you in Boston for the MMA Annual Meeting. We enjoyed talking with you about the latest trends in municipal law and how can provide assistance in these areas. 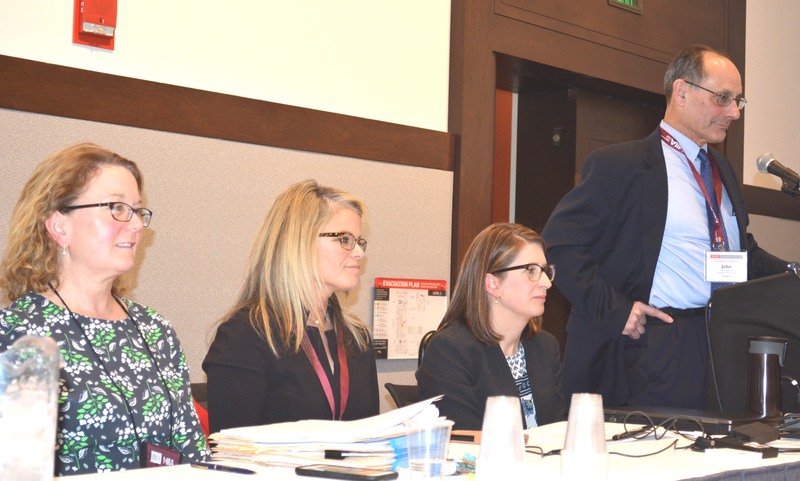 Katie Laughman once again presented to a packed room on the topic of non-medical marijuana, while Lauren Goldberg addressed the process for charter adoption and amendment and the continuing challenges imposed by the Open Meeting Law. We were thrilled to sponsor WEMO and honored to listen to Senate President Karen Spilka talk about her goals for the upcoming session. It was also our pleasure to sponsor former Patriot Matt Light at the MMA Friday night dinner. The reception was once again well attended and lots of fun. It was terrific to see so many of you at the Members Breakfast on Saturday, a KP tradition for decades. Below please find a pdf copy of each of the eUpdates we prepared for the 2019 MMA Annual Meeting. Note that prior year’s eUpdates are found on our eUpdates Resources page. Among its 2018 Top Women of Law! KP Law is pleased to report that Managing Attorney Lauren F. Goldberg has been recognized by Massachusetts Lawyers Weekly as one of its 2018 Top Women of Law. Lawyers Weekly describes the Top Women of Law event as follows, “The Top Women of Law event celebrates outstanding achievements made by exceptional women lawyers. Each year Lawyers Weekly honors women attorneys who have made tremendous professional strides and demonstrated great accomplishments in the legal field, which includes: pro bono, social justice, advocacy and business. The awards highlight women who are pioneers, educators, trailblazers, and role models.” Lauren will join the other honorees at a reception on Thursday, October 18 from 5:30 PM to 8:00 PM at the Marriott Copley Place Hotel. More information about the honorees and the event can be found here. The Firm congratulates Lauren for this special recognition. In January, 2018, we updated our Guide to the Revised Law Legalizing Recreation Use of Marijuana. Knowing that communities throughout the state are likely to be addressing this issue in the months to come, we have linked that document here for your use. On January 19, 2018, Attorney Katherine D. Laughman presented at the Massachusetts Municipal Association Annual Meeting in Boston. Attorney Laughman was a member of the panel entitled, Marijuana Law: The Way Forward for Municipalities. Also speaking on the panel, which was moderated by Attorney John Goldrosen, were Cannabis Control Commissioner Katharine Doyle and Chief of the Attorney General’s Central Massachusetts Division Margaret Hurley. Attorney Laughman, presenting to a capacity crowd, provided a comprehensive overview of recent developments in the law governing adult use and medical marijuana, focusing on issues facing municipalities as they consider local regulation of these new uses. Her power point can be found here, and the firm’s most recent guidance can be found here. Attorney Laughman presented to the Central Massachusetts Regional Planning Commission on February 2, 2018. She will be speaking on this topic at the Citizen Planner Training Collaborative Annual Conference on March 17, 2018, to will be held at Holy Cross College in Worcester. Please click here for a link to the program brochure. KP Law is pleased to report that Attorneys Jonathan M. Silverstein and Michele E. Randazzo, Members at the firm, and Attorneys Deborah I. Ecker and Janet Hetherwick Pumphrey, Counsel at the firm, were named as Super Lawyers for 2017. The designation is bestowed after a rigorous selection process, including independent research and peer nomination and evaluations. The final published list represents no more than 5 percent of the lawyers in the state of Massachusetts. On October 16, 2017, we forwarded an eUpdate to our clients entitled, “Important Changes to the Open Meeting Law Regulations,” summarizing the recent amendments to the Attorney General’s Open Meeting Law Regulations. That document can be found at the link below. As of July 1, 2017, the new Public Records Law requires Records Access Officers (RAOs) to prepare and post guidelines to assist persons seeking public records. If your community has not yet done so, the RAO should prepare and post such guidelines as soon as possible. The guidelines must be posted to the municipal website (assuming that the municipality has a website) and at municipal offices. We have prepared sample guidelines RAOs may wish to use as an aid in preparing appropriate guidelines for their communities. The firm’s Public Record Law Resource Page can be found here, or for assistance from a member of the firm’s Government Information and Access Group, contact us at 617.556.0007. 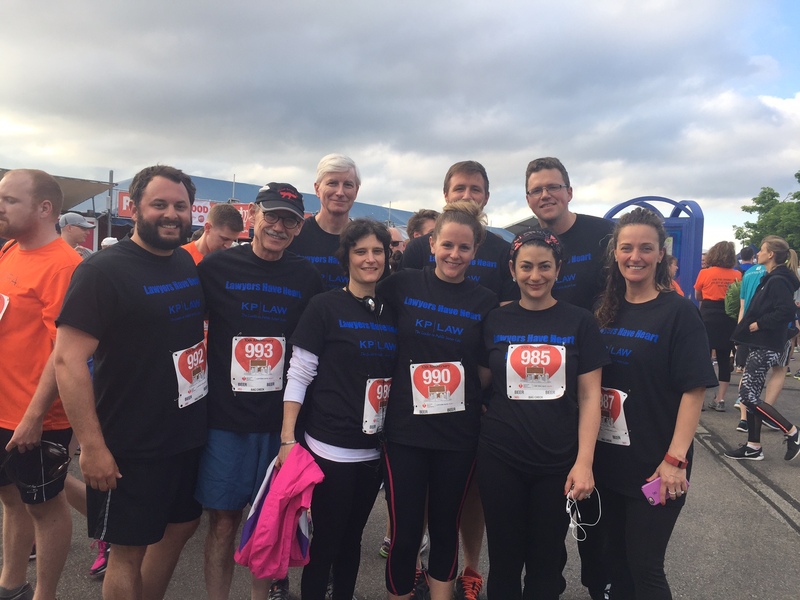 KP Law sponsored a team in the annual Lawyers Have Heart road race on May 31, a 5K which raised funds for the American Heart Association. Timothy Zessin, with a time of 22:14, led a contingent of nine KP runners along the course, which wound its way along the Innovation District waterfront. The event raised over $297,000 to benefit the American Heart Association. This was the 10th anniversary of the LHH race, and KP Law has sponsored a team in the event every year. KP Law is pleased to report that Attorneys Jonathan M. Silverstein and Deborah I. Ecker were named as Super Lawyers for 2016. The designation is bestowed after a rigorous selection process, including independent research, peer nomination and peer evaluations. The final published list represents no more than 5 percent of the of the lawyers in the state of Massachusetts. This is the second time Attorney Silverstein, a Shareholder at the firm and a member of the Manager Committee, has been so recognized. He was also previously selected as a Rising Star. Attorney Ecker joined the firm as Counsel in 2014, and has greatly contributed to our insurance defense and litigation practice areas. KP Law congratulates Attorney Janelle M. Austin, a Senior Associate at the firm, on again being named a Rising Star for 2016. The Rising Star selection process mirrors the Super Lawyer selection process, and is for lawyers who are under a particular age or in practice for 10 years or less. Congratulations Jonathan, Deborah and Janelle on this special achievement! Want to know more about our eUpdates and how you can get on our distribution list, or about any of our other value-added services? Contact our Managing Attorney Lauren Goldberg at 617-556-0007.